With steady growth in both the creation and enforcement of anti-corruption law, it is more important than ever to consider the creation of or review of your company’s policies and procedures dealing with corruption. 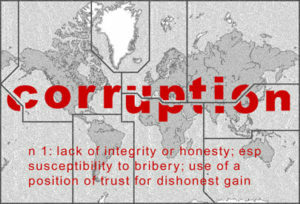 In the US, the FCPA makes it an offence to bribe foreign officials with a corrupt motive in order to obtain or retain business. In the UK, the Bribery Act makes it an offense to bribe foreign officials but also prohibits bribery in the private commercial context; covers both taking bribes and giving bribes; and contains a specific offense for a company that fails to prevent bribery by a person associated with the company or other entity. The offense applies in relation to anyone performing services for the company, regardless of their level of seniority or relationship to the company and regardless of where in the world it occurs. It is extremely important if you are doing business globally, to ensure you have analyzed your potential risk and started to put those policies and procedures into place to protect both the organization, your leadership and your employees. A phased approach is a good place to start. First, evaluate the potential risk. Consider the nature of your business – manufacturing, supplier dependent, heavily regulated – the extent of government relationships, the location of your operations and the use of third party agents. Second, undergo the due diligence specific to the nature and extent of the risks identified. This entails forensic research, accounting, and documentation reviews. Third, take the action required based on your diligence outcomes. 1. Tailor the program based on the assessed risk profile. Your anti-corruption plan should be specific to the assessment of the company’s risk based on size and nature of the business, geographical markets, suppliers and customers and regulatory environment. 2. Create written policies and procedures and ensure they are understood, observed and enforced. These policies need to be supported by standards and procedure manuals. Written documentation should be not only shared internally but with business partners, agents and contractors. 3. Create internal controls and check to give effect to anti-corruption policies. A monitoring program should be set up to ensure early identification of breaches and a timely and effective response. External audits can be utilized to support this process. 4. Set the tone at the top. Leadership must set the appropriate tone and demonstrate and reinforce their own adherence to the policies. Depending on your size, a Compliance Officer should be charged with identifying and managing corruption issues and questions. Manage multiple levels of communicating these policies to staff through town halls, lunch and learns, ethics training. 5. Train staff and others to understand and avoid the issues. Training can not be overstated. Any opportunity to reinforce the policies should be used. Training should be customized based on the specific corruption risks faced by your business. 6. Ensure adequate accounting controls are in place. Accurate and adequate accounting systems are essential. Establishing an audit committee is a good start. 7. Be vigilant where business’ payment structures are prone to abuse. Some commissions or incentive payments may unintentionally heighten corruption risks for businesses. 8. Keep monitoring the risk profile of the business and adjust as necessary. New regulations, new lines of business can create additional risk. Ensure you are consistently aware of your changing environment. 9. Whistleblower protection. Create an environment where reporting a problem is easy and protected. The business must have accessible and confidential avenues for staff and other individuals to report instances of corruption. To be effective, a person who reports a breach must also be assured of zero tolerance for any sort of retaliation. Creating an environment of zero tolerance for whistleblowers is essential to a strong program that will truly protect the company and the employees. Consistency and support for the company policies must be top of mind. Download an eBook explaining the benefits of an ethics reporting hotline.